38.37 Deeded Acres Knox County. 25 acres tillable. Currently cash rented for $150 an acre for the next three years. Has some mature timber. There is a 16x20 cabin on farm with a concrete floor. 1 room downstairs and 1 room upstairs. 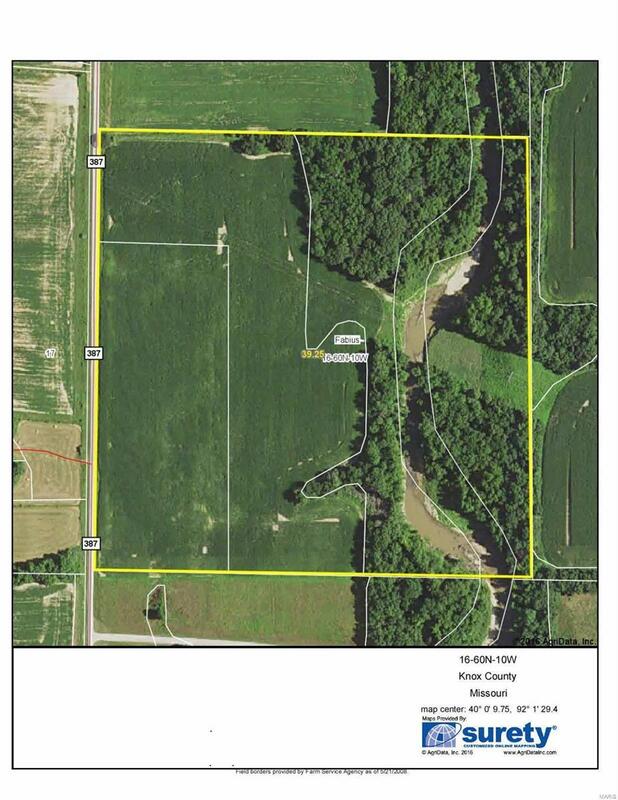 Priced from $3500 per acre to $4900 per acre.